This article was originally posted on Avalara and written by Scott Peterson. Updated Aug. 14 to reflect the most current information available. Last week Fulfillment by Amazon (FBA) and other marketplace sellers learned of a new tax amnesty program set to run Aug. 17–Oct. 17. This is only the second time in United States history that states have banded together to forgive back taxes. This voluntary disclosure program offers online marketplace sellers a chance to come clean if they haven’t been collecting sales/use or income/franchise taxes in states where they should. But questions — and doubts — abound. Is the program as good as it sounds? How many sellers actually need to collect tax in remote states? Usually amnesty programs apply only to registered taxpayers and limit penalties and interest, but require taxpayers to pay all the back taxes they owe. In this new program, all eligible back taxes will be waived in most states. This program is also unusual because it’s limited to sellers whose only nexus with a state is through inventory in a fulfillment facility or warehouse. The biggest question, of course, is this: Is the tax amnesty program right for your business? To help you decide, we’ve put together a list of nine frequently asked questions and answers. 1. Who does the tax amnesty impact? This tax amnesty program is open to all online marketplace sellers, not just FBA sellers. Marketplace sellers are third-party businesses that use a marketplace provider like Amazon or eBay to fulfill orders on their behalf. Marketplace providers typically store a seller’s inventory in warehouses and fulfillment centers in multiple states, and having inventory in a state is one way to establish a sales tax obligation (nexus) with that state. You may owe back sales/use or income/franchise taxes to the state where that fulfillment center is located, assuming you aren’t collecting and remitting tax there already. You’re probably eligible for this tax amnesty program. If you’ve already been collecting and remitting tax on applicable sales in a state, then you can’t participate in the sales tax amnesty program in that state. However, you may be eligible for income or franchise tax amnesty. The reverse could also be true. If you have nexus with a state yourself, outside of the connection established through a marketplace provider, you are not eligible to participate in this program. 2. Do I really have to register and collect sales tax? States require any business with nexus — a physical presence in the state — to collect and remit sales tax. According to a U.S. Supreme Court ruling*, a state cannot require a business to collect and remit taxes unless it has a physical presence in the state. As a result, states have gotten creative with how they define physical presence. For them, inventory in a marketplace provider’s fulfillment or distribution center is a clear physical presence that triggers an obligation to collect and remit sales tax. 3. What about income tax? Nexus rules for income tax vary from state to state. If you have inventory in a state where you make sales, you could also have income tax liability. 4. How does tax amnesty work? The tax amnesty program is currently set to run Aug. 17–Oct. 17. During that time, if you apply to collect sales tax in a participating state or states, you will not be responsible for paying any unpaid back taxes on sales. You can also apply for income/franchise tax amnesty. If the state waives the tax, penalties and interest are automatically waived as well. Participating states will work through the Multistate Tax Commission (MTC) Voluntary Disclosure Program. The MTC is a tax agency that works to promote fair tax policies, as well as state and local tax compliance. Since it already runs a multistate voluntary disclosure program, it is well-positioned to oversee this tax amnesty program. 5. What states are participating? Colorado will forgive any back sales/use tax, but it won’t waive back tax liability for income tax beyond its normal four-year look-back period. Nebraska will consider waiving back sales/use tax and income tax liability. Washington, D.C. will consider a shorter look-back period than its typical three years for both sales/use and income/franchise tax. Wisconsin will require businesses to remit unpaid sales/use and income/franchise tax plus interest going back to Jan. 1, 2015, but will forgive taxes dating from before that date. Several other states are interested but may not commit until just before the amnesty program starts. 6. What are the risks of participating in the amnesty plan? Essentially, creating more work for yourself. If you participate in this voluntary disclosure program, you’ll have to register and begin collecting sales tax in all the states you select by Dec. 1, 2017. Moving forward, you could also have other tax liabilities. States will expect you to collect tax on all sales, not just marketplace sales — something to consider if you also sell and fulfill orders through your own site. This will take time and resources away from other activities, especially if you do tax compliance manually — it’s not uncommon for even a small FBA seller to file in as many as 25 states. That said, filing doesn’t have to be that painful, and many FBA sellers use sales tax software to help. There’s also the risk of making customers unhappy by charging sales tax. After all, it makes their purchases more expensive (even though they actually owe use tax to the state if sales tax wasn’t collected at checkout). But many would argue it’s better to collect tax from buyers than to be on the line for the tax, plus potential interest and penalties, because if a state audits you in the future and finds that you haven’t been collecting the tax you owe, you’ll be held accountable. Keep in mind, many states will hold a business’s executives personally liable for not remitting sales tax. 7. What are the risks of not participating? Having to pay the back taxes, penalties, and interest this program would otherwise waive. An audit by a remote state may seem like a remote threat, and it oftentimes was in the past. But that’s changing. Two states (Minnesota and Washington) have already passed laws to help them collect tax revenue from marketplace sales. Colorado and Washington enacted laws that require out-of-state sellers that don’t collect tax to identify their customers to the state tax authorities. That way, states can go after the customers for use tax. More states may do the same. Bottom line: It’s going to get harder to fly under the radar of state auditors and easier to miscalculate sales tax obligations. Amazon and other marketplace providers move inventory from warehouse to warehouse at will, making it hard to track where you have nexus. Amazon alone has fulfillment centers in at least 25 states. You may not know your inventory is stored in a state until an auditor comes knocking. 8. What are my other options? The first option carries risk. In the event you’re audited, you could end up with a punishing bill. Many states periodically offer tax amnesty programs. Pennsylvania ran one this spring and Virginia will offer one before June 30, 2018. Individual state amnesty programs typically waive penalties and a portion of the interest owed on unpaid back taxes. However, they usually require taxpayers to pay all the taxes they owe during the state look-back period — the length of time a state is allowed to hold a registered taxpayer liable for unpaid taxes. While the minimum for look-back periods is typically three years, in some states the look-back period is significantly longer. For unregistered sellers, look-back periods can be unlimited. Several states also have voluntary disclosure programs (VDP) designed to encourage non-compliant taxpayers to become compliant. Take Washington as an example. When Washington discovers noncompliant taxpayers through an audit, it may hold them liable for tax, interest, and penalties of 39 percent of the tax due during the past seven years. Participation in Washington’s VDP limits the look-back period and the penalties. The FBA tax amnesty program could help you become sales tax compliant in multiple states, with minimal penalties and risk. 9. How do I learn more about the tax amnesty program? Carefully considering whether the tax amnesty program is right for you is a good step toward better understanding your tax obligations and becoming strategic about taxes. If you know or discover you have nexus in a participating state but you’re not collecting there yet, you may essentially get a clean slate while the program is in effect. Avalara will update this post as new details emerge, so be sure to check back! If you have immediate questions, leave them in the comments below. This post was sponsored by Avalara. 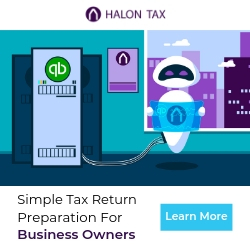 From the beginning, the Avalara team of revolutionaries has worked day and night to help businesses of all sizes achieve compliance by providing a fast, easy, and accurate way to manage transactional taxes. Learn more here.